They don’t call them the scoring shots for nothing. Pitches around the green are crucial for a solid score, as accuracy with the short stick can often mean the difference between tap-in up-and-down and three-putt from fifty feet. 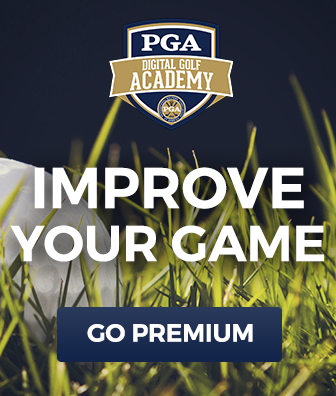 That’s why PGA Professional Michael Peterson spends so much time working with his students on their pitching technique, and getting them to keep practice both effective and interesting. For a solid mix of both, Michael tends to turn to the “leap frog” golf pitching game. 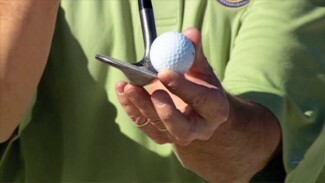 This exercise is so simple and requires such a small amount of space that you can do it from the comfort of your own backyard — no need to go to the range and try to carve out twenty yards of empty grass. 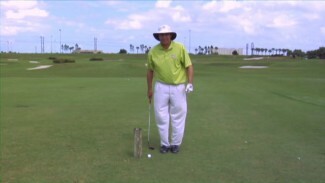 All you have to do to make this golf pitching game a success is to hit ball after ball with your wedge, hitting each subsequent shot a few feet farther. 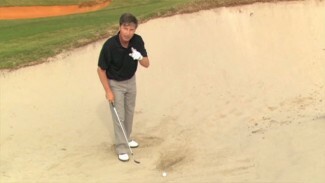 As you practice this quick and helpful game, be sure to incorporate the short game tips Michael demonstrates, and check out some of our other pitching tips and drills once you’ve mastered this one!